The separate-cell design of one of the two cellblocks in Brisbane prison, Petrie Terrace, c1868. 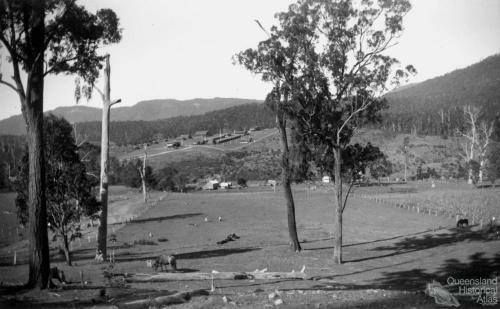 Some female prisoners were still housed in an associated ward here, and it was 1903 before a purpose-built separate-cell prison was constructed specifically for women in Queensland. From Report on Prison Discipline, 1868. Collection of Christopher Dawson. 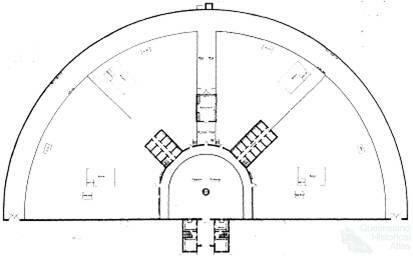 The American-inspired ‘radial’ design was widely used in late nineteenth century Queensland prisons. 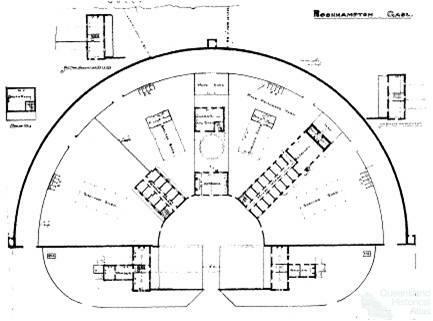 A variation on Jeremy Bentham’s ‘panopticon’, this design created a central focus of control and sense of architectural and social order. The second prison at Rockhampton, built in 1884 and Townsville prison, 1887, from Inquiry into Gaols, 1887. Collection of Christopher Dawson. Queen Street prison, 1850s. Collection of Christopher Dawson. 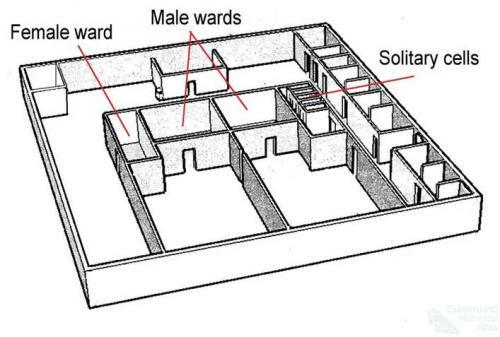 One of the major shifts in nineteenth century penological thinking was in the area of prisoner classification, a shift that was neatly reflected in the changing design of Queensland prisons constructed throughout that century.